Why make your own ketchup, when you can buy it everywhere? Because this recipe is sugar free! Now, don’t go thinking that it loses any flavour because of that. 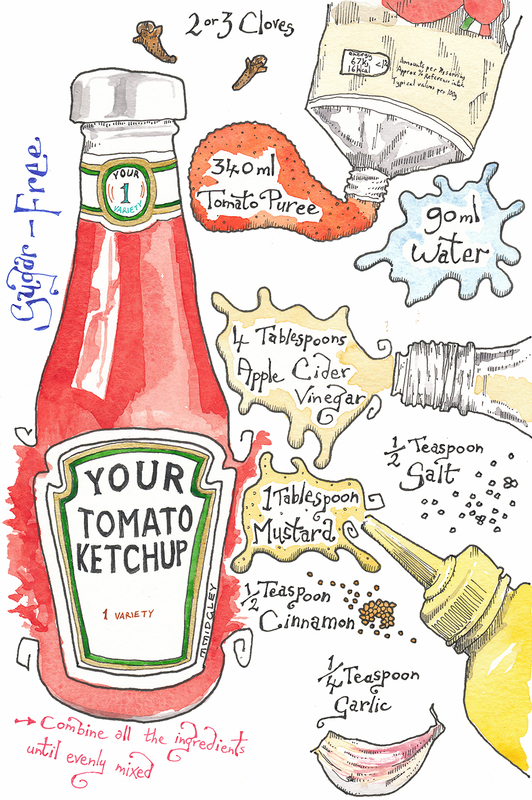 This sugar-free ketchup is just as delicious as the regular sugar-full versions that we buy in the shops. But you can eat this safe in the knowledge that your not taking on board too much sugar. I have to admit, I’m not a great ketchup fan! But, I do love mixing up different sauces; which ketchup is very useful to use as a base to add other ingredients to.